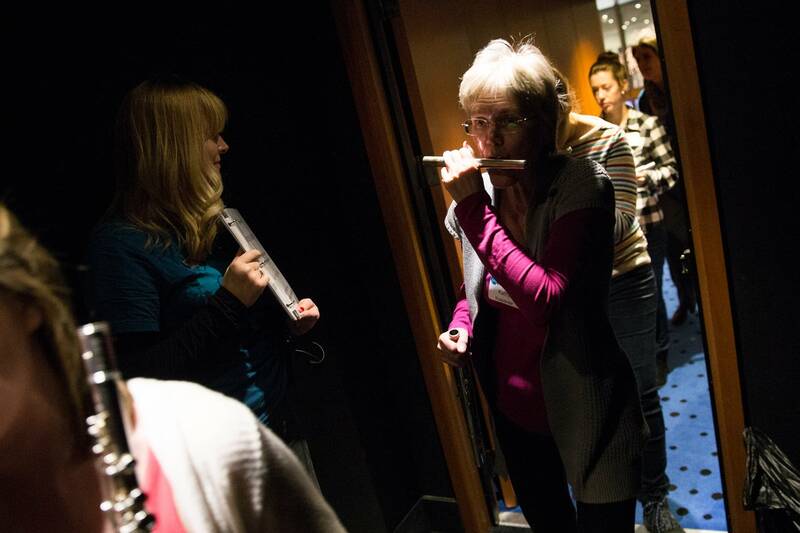 The very first thing contemporary music rock star Claire Chase told us flutists ready to play last Saturday morning at the Ordway Concert Hall was "Forget everything you've learned." And with that, it was game on. 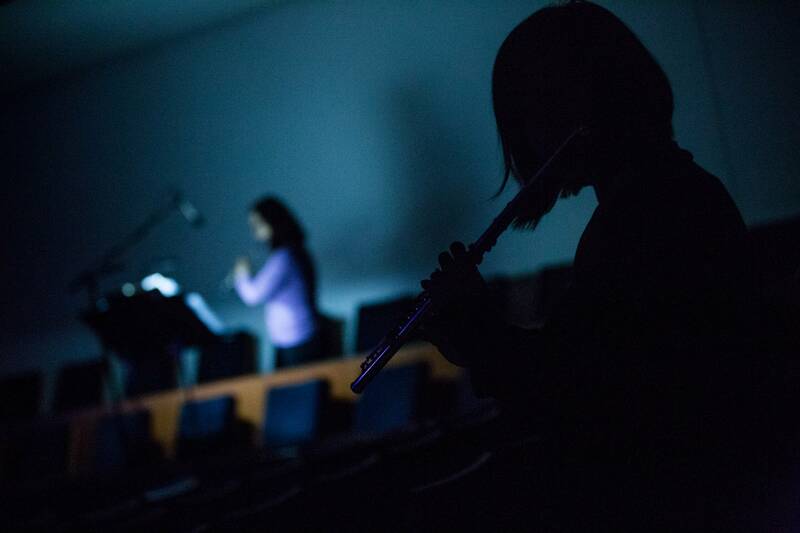 We're all part-time flutists — students, players in community orchestras, and music-lovers — who accepted the call to participate in a work for four soloists and at least 100 migrating flutists. It would seem Minnesota outdid itself in the above-average department as we nearly doubled the quota: 189. 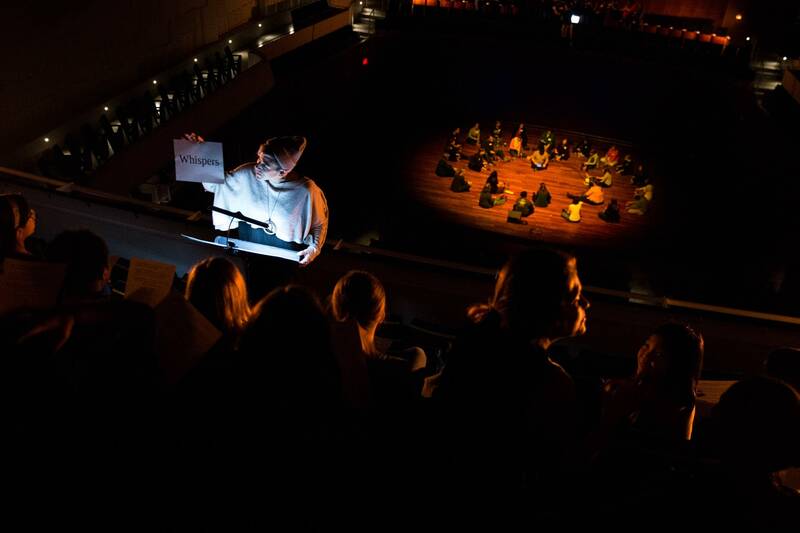 Under the auspices of the Saint Paul Chamber Orchestra (SPCO), with matching funds from the Knight Foundation, Clair Chase is soloist and guide in a performance of a work by Italian composer Salvatore Sciarrino, Cutting the Circle of Sounds. The piece is eerily resonant with current events and the chaos and confusion of recent days. The flute soloists — SPCO's Julia-Bogorad Kogan and Alecia McQueerey, the University of Minnesota's Immanuel Davis along with Chase — play from their perches in four corners of the hall while the chorus of flutists migrate throughout the hall, evoking a kind of swirling and displaced populace. 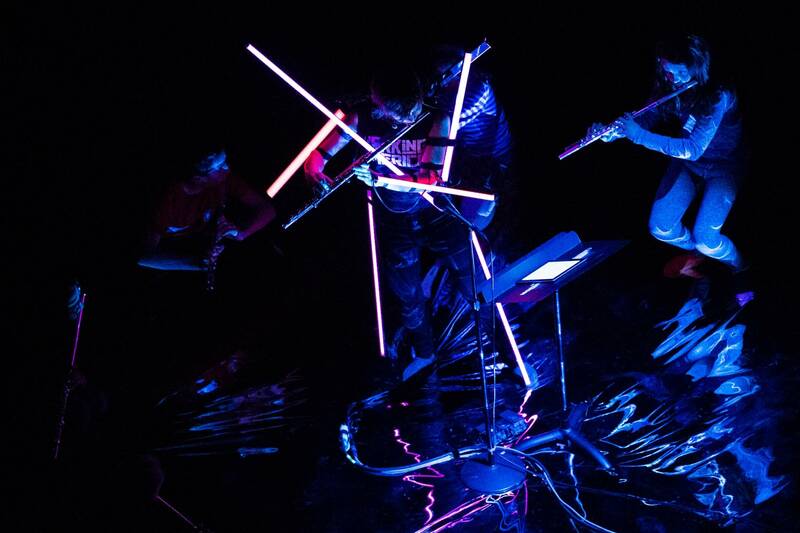 Mr. Sciarrino says he has always been fascinated by a flutist's ability to play even just one note in a stunningly lyrical and nuanced manner. Yet, he's equally curious about the "irrepressible poetry to the most quotidian of labors: the simple gesture of breathing in and out." 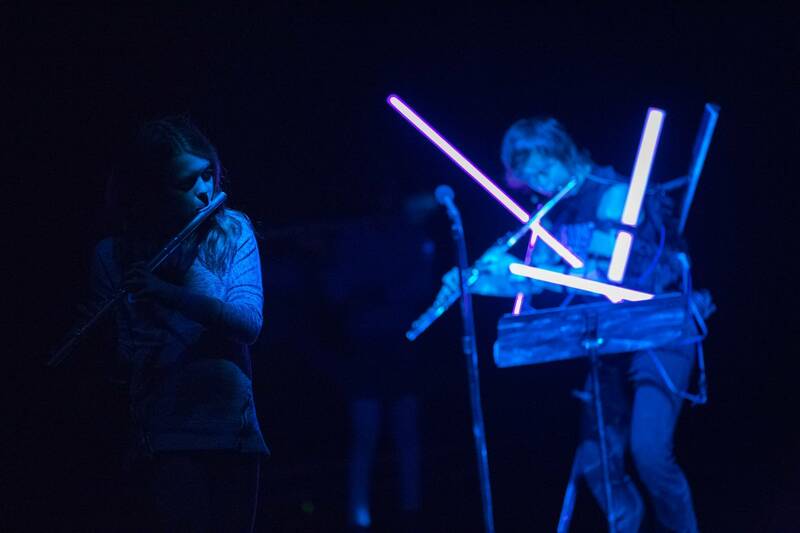 What this means for this performance is that the performers use air to create sounds that are not pitches at all, but nonetheless unusual and arresting in their own right. A gentle proto-tone exhale becomes a wistful, misty flock of sheep. Repeated bouncing blasts straight in the flute are sound like fire-breathing. The tongue quickly stopping the air resonates like water droplets from a leaky roof in a large empty space. Buzzing tongues become a lawnmower and audible breaths in and out of just the flute's head are Darth Vader — in scuba gear. Part of the fun for all of us was being taught how to make these sounds by Chase, who is puckish in her short cropped hair, oversized glasses, and buttoned-to-the-neck blouses. She looks too small and fragile to make the kind of wildly virtuosic music she makes, and her self-effacing spirited personality had all of us following her every move like mice to the Pied Piper. 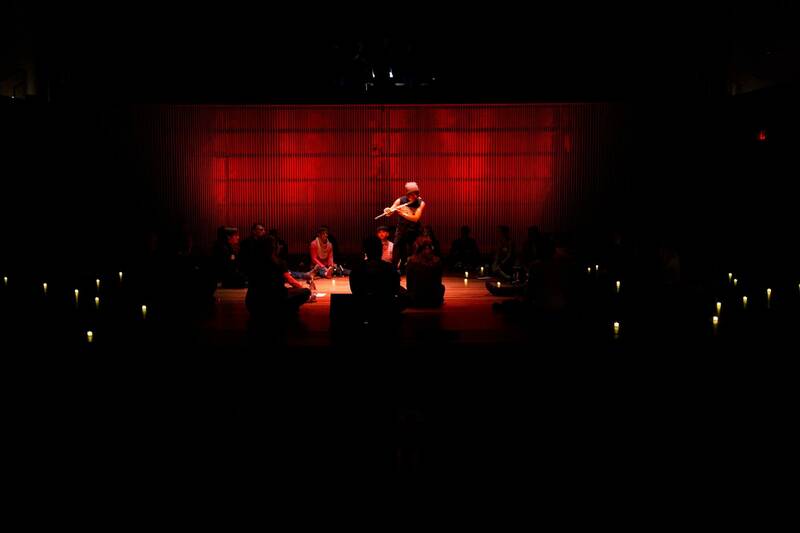 She is the founder of the International Contemporary Ensemble, which has premiered over 600 new pieces. 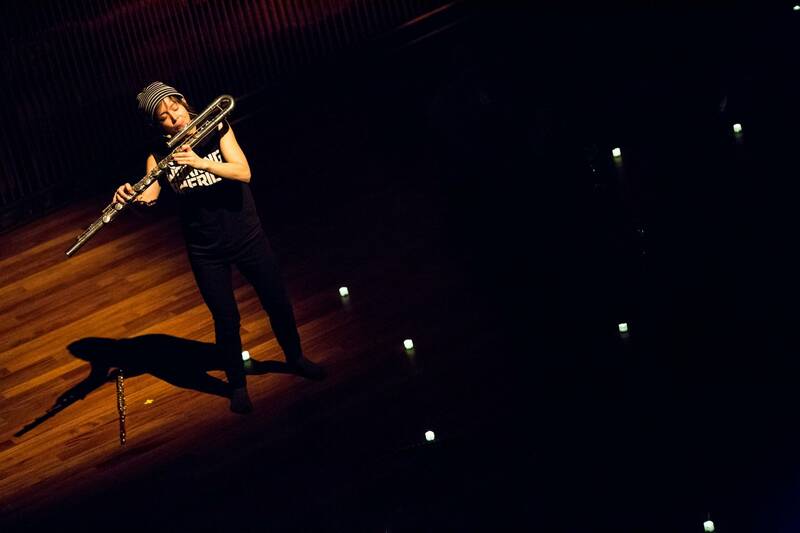 She won the grand prize of NYC's Concert Artists Guild Competition and was named a MacArthur Fellow in 2012. 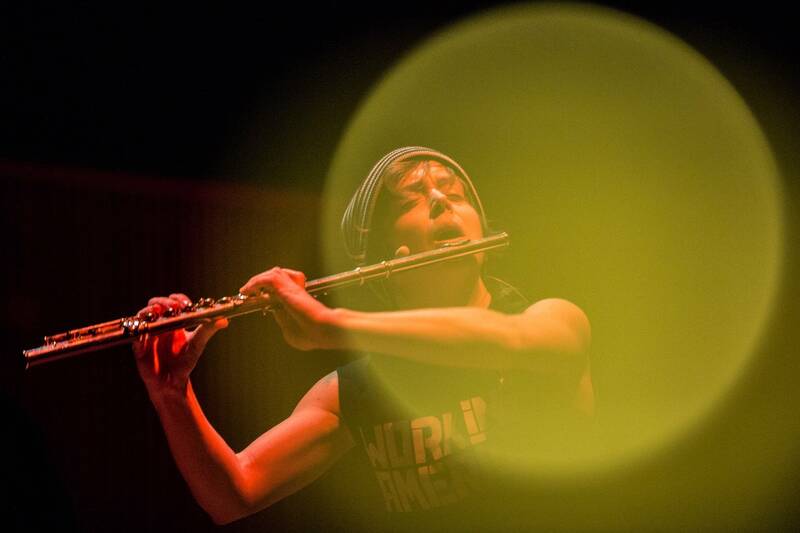 A few years back, she launched "Density 2036," a 22-year commissioning project to create an entirely new body of repertory for solo flute every year to the centenary of Edgard Varese's groundbreaking 1936 flute solo. We feel privileged performing as her accompaniment this giant organism of walking, breathy sounds. 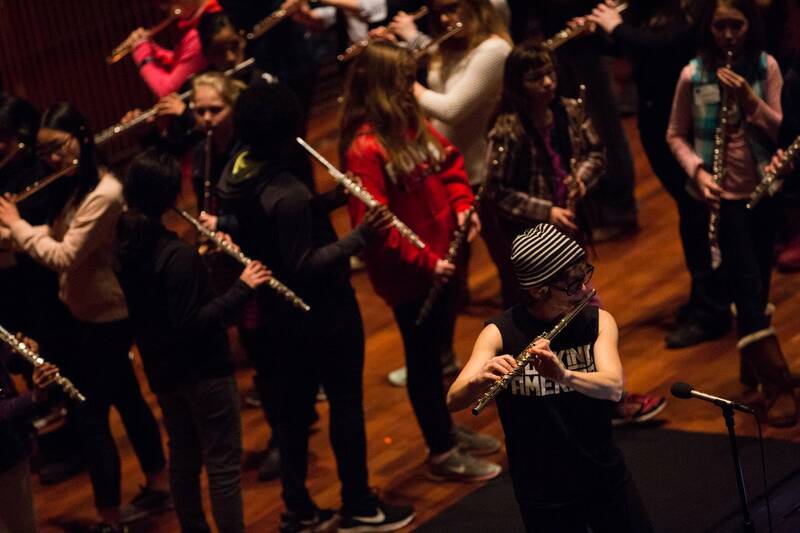 It's part community gathering, part ritual, and part performance art as each one of us wanders all tiers of the Concert Hall, individually expressing in contemporary "extended techniques" while at the same time, creating a moment in time when nearly every flutist in the Twin Cities breathes as one. 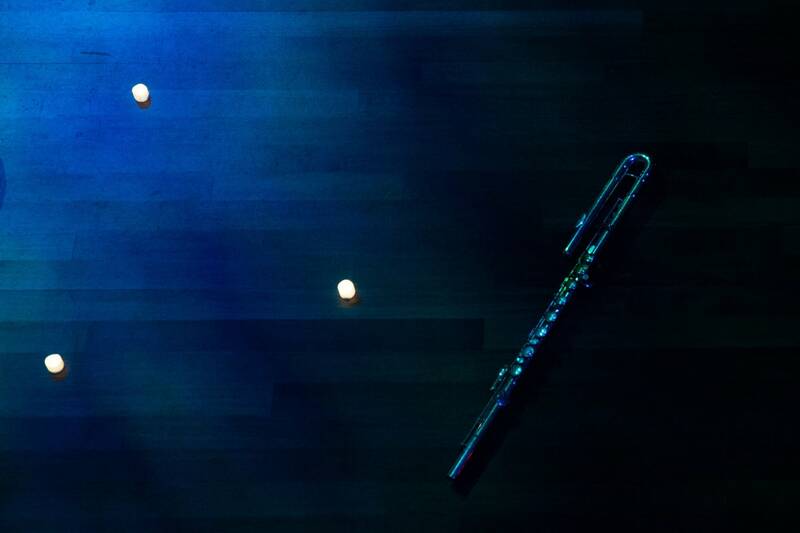 Also on the program is a response to Sciarrino's work; a new piece for solo flute in its world premiere by Brazilian composer Marcos Balter called Pan. 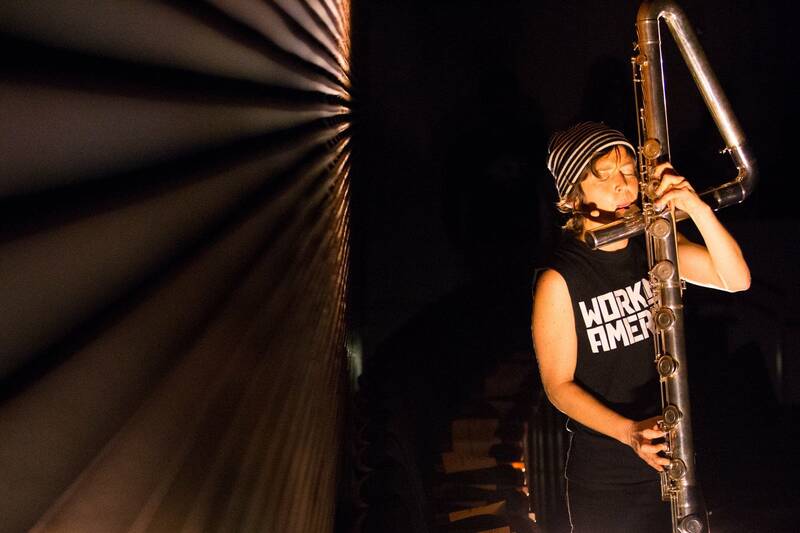 You'll hear Chase play all the flutes including piccolo, pan flute, and the contrabass, better known as "Big Bertha," as well as singing in a language created by one of the greatest musicians of all, Hildegard of Bingen. For that piece, I join in again as part of the unusual tapestry of color — but this time, I play tenth-chair triangle. 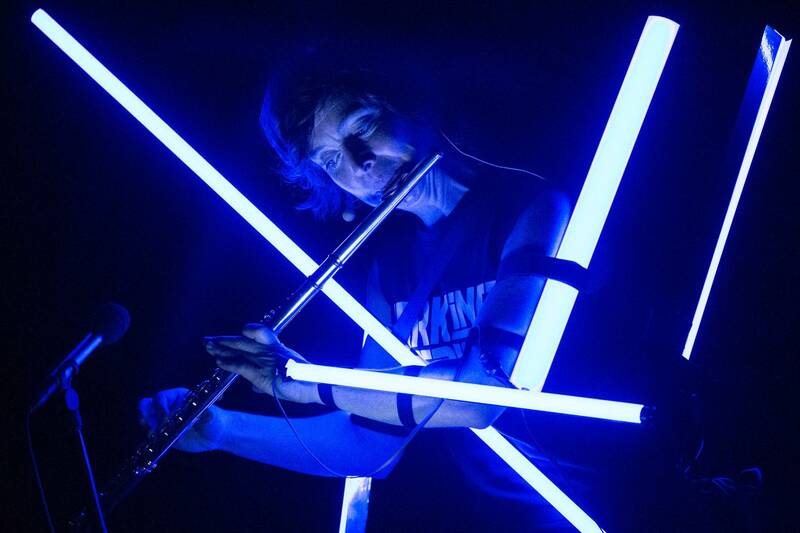 Over the past decade, I've often been asked if I still play flute. It's complicated. With a neurological condition that prevents my having the kind of technique of my performing days, it's not quite as fun anymore to see my hands curl into claws on the flute. So I watch with the slightest of envy at what this young woman can do, but I must say, I am grateful for the opportunity to participate, to make new friends and to — yes — enjoy my Ordway "debut." 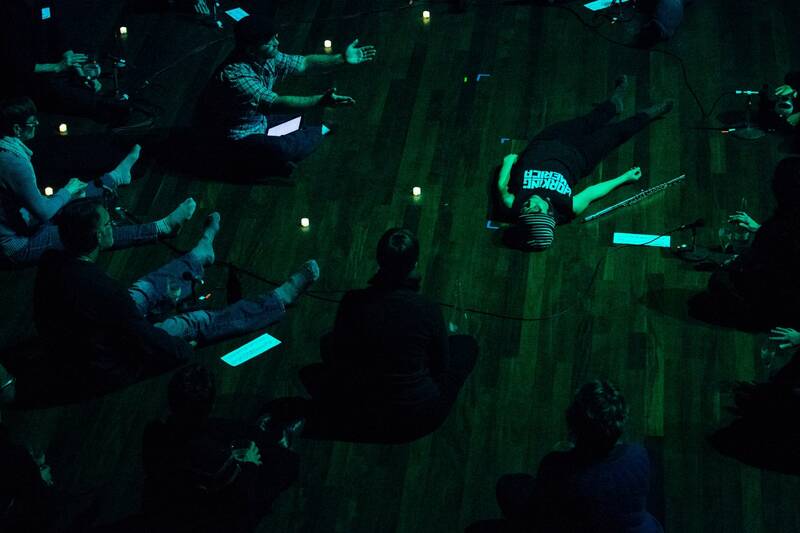 Cutting the Circle of Sounds is presented tonight, Feb. 1, at the Ordway Concert Hall. For more information, see thespco.org.